The Los Alamos History Museum offers a variety of programming for young people to meet the needs of the community. We offer year-round programming that takes place in the museum and in the Fuller Lodge classroom, as well as traveling programs that visit schools. For inquiries, or to schedule a program, please contact Museum Educator Aimee Slaughter, educator@losalamoshistory.org or 505-695-5251. The Los Alamos History Museum has hour-long outreach lessons that address common core standards for grades 2, 3, 4, and 7. The museum educator will bring the lesson to your classroom at a time that works best for you and your class. The lessons are centered around hands-on activities and focused on a specific era of Los Alamos history. The second and fourth grade lessons focus on Ancestral Pueblo life, the third grade lesson highlights the Los Alamos Ranch School, and the seventh grade lesson brings the homestead era to life. Lessons can be scheduled to coordinate with a field trip to the museum. Visiting the Los Alamos History Museum or taking a guided walking tour allows students to engage with their local history. Field trips are interactive, with discussion questions encouraging students to imagine what it would have been like to live here in the past. When you contact us to schedule a field trip, we will provide an information sheet to help plan logistics and provide details about the state standards that will be addressed on your visit. Classes receiving course credit and non-fee-based programs for young people can schedule museum visits and guided walking tours for free. Other youth groups can schedule museum visits and guided walking tours at a group rate. A minimum of two weeks advance notice is needed to schedule a museum visit or walking tour. Visiting the museum: Please plan on an hour and a half to visit the Los Alamos History Museum, giving your class enough time to explore thetwo museum buildings and the outdoor sites. Brochures for Bences’ Challenge, a scavenger hunt-like game, can be made available for your group. 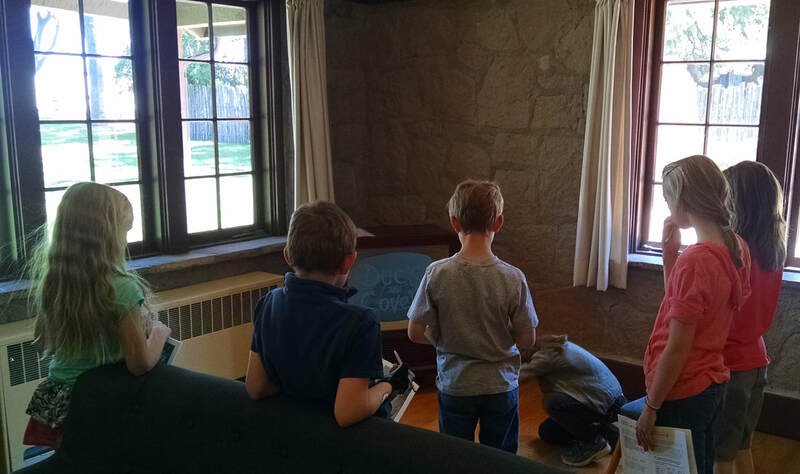 The museum exhibits are best enjoyed by students in fourth grade and above. Guided walking tours: Our guided walking tours of the historic district can be adapted for any grade level. Students will learn about the local history of Los Alamos with stops at the Ancestral Pueblo Site, the Romero Cabin, Fuller Lodge, and Bathtub Row. The guided tour does not include time in the museum buildings. Tours last an hour for younger students and an hour and a half for older students.